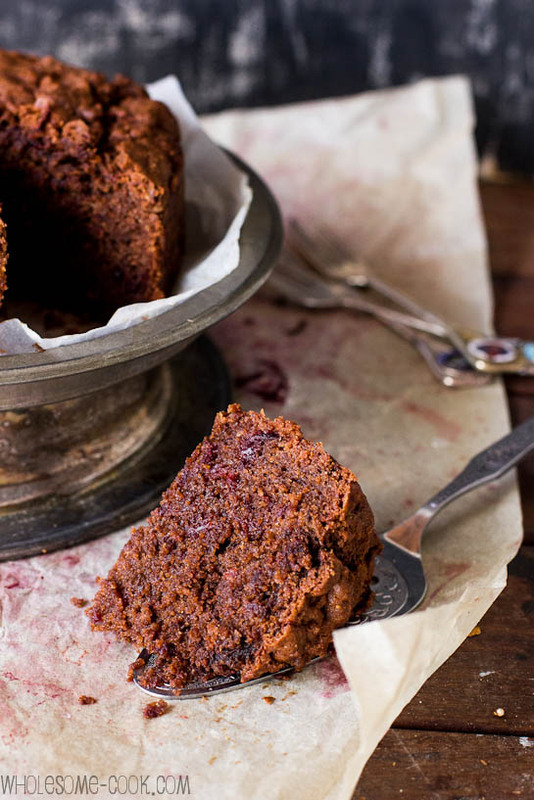 This Spiced Beetroot and Chocolate Cake is light moist and amazingly chocolatey… Not something you’d expect from a vegan and gluten-free concoction. Since it is nut-free as well, it makes for a perfect cake to take to large gatherings or school fetes! (No gluten, dairy, wheat, soy, sugar or eggs). I’ve been playing with the idea of a Beetroot and Chocolate Cake for some time. Last week I got testing. The first couple of cakes came out too dense for my liking, but finally, late last week the hard work paid off. The cake turned out to be one of the softest, lightest and most amazing healthy cakes I’ve had in a while. 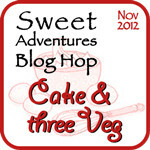 It so happened that JJ from 84th and 3rd was popping over for a cuppa and mentioned to me, over the cake, that she was hosting this month’s Sweet Adventures Blog Hop. Her theme? Cake and three veg! The timing couldn’t have been more perfect. While that version contained about 10 percent sugar – considered a low sugar content amongst nutritionists, I wanted to take the cake a step further and make it processed sugar-free. I used a little rice malt syrup to sweeten the batter and it worked a treat in the end, but if you prefer a slightly more sweeter taste – this isn’t, add 2 tablespoons ground (green) stevia as well. I took it to a morning tea on the weekend, where I know there are many people allergic to gluten and dairy, and I’ve been getting recipe requests ever since since. So, here it is. My vegan, gluten-free and sugar-free Spiced Beetroot and Chocolate Cake. Feel free to use a 20cm round cake tin, or a smaller 16cm round tin for this recipe if you like a taller cake. Increase cooking time by 5 minutes for the smaller tin. While I used a little rice malt syrup to sweeten the batter, if you prefer a slightly more sweeter flavour, add 2 tablespoons ground (green) stevia to the dry ingredinets. In a large bowl combine all dry ingredients plus grated beetroot and mix well. in another bowl, whisk together all wet ingredinets until the mixture is smooth. (If using coconut oil and it's solid, place your wet ingredients in a small sauce pan and stir over low heat for the oil to melt - do not boil!). Pour wet ingredients into the dry ones and fold gently with a wooden spoon until only just combined. Transfer batter into the paper-lined form. Bake in a preheated oven for around 35 minutes, or until a skewer inserted into the cake comes out clean. Cool on a wire rack before slicing up and serving. This looks so moist and delicious. Can not wait to try! Hey Marty, this cake looks and sounds fantastic! Great theme for the blog hop too. Can’t wait to see all of the creations! I’ve had a pleasure of tasting this cake and have to say it is pretty good! If you are not used to low sugar treats, definitely add the optional 3 tbsp of rapadura. Otherwise this is also great with soy ice cream to add a little extra sweetness to the mix. YYUUUUUUM! You make healthy eating look absolutely delicious! Lovely photos! This just sounds so wonderfully healthy.. to go along with the fact that it looks so pretty on your cake stand! This sounds amazing! I love putting root vegetables to use in sweet dishes. Oooh I never would have thought of adding five spice to a cake but it makes PERFECT sense! You are a genious. 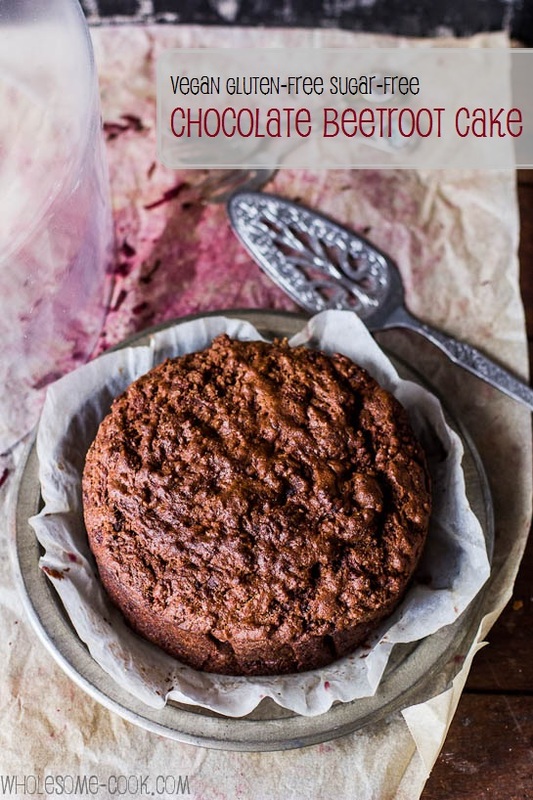 Love the texture of this and will be adding sugar – I don’t have cake very often. I love carrot cake and this is pretty much the same except beetroot is sweeter. I want to make this over the holidays. Hi Maureen, the cake is actually not very sweet. I suggest using extra rapadura (or brown) sugar if you have a sweet tooth. 🙂 Happy holidays! Wow I would never have thought it was free of all those things if it was presented to me on a plate. It looks just as naughty and rich as the ‘real’ thing! Love the addition of beetroot that would make that cake really moist. Oh Martyna, this looks like a real winner! Would it be wrong to have this with some sweetened sour cream? Oh, not at all – I actually like the extra dimension of sour that would add to the mix. Nice idea. May be a stupid question, but is the grated beetroot raw or baked? Hi Rachel, not stupid at all. It is raw (peeled) beetroot. 🙂 I’ll update the recipe now. Totally gorgeous cake! We got a TON of beets in our CSA this week…I definitely need to make this! I have always wanted to make a beetroot cake. This looks lovely and I really like the spices you used here. Hope you are well! What a beautiful cake! Really original and so tempting. Lovely texture. This looks delicious! 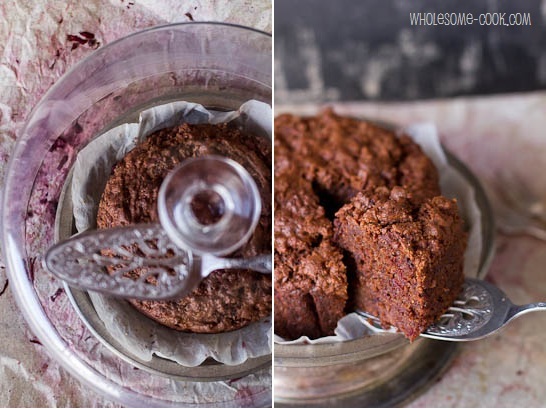 I love the idea of using vegetables in baking! I wonder if you could use tinned beetroot? Hi, I am not sure about tinned beets as they generally have citric acid or lemon juice added – this might play up with the other ingredients, but could be worth a try. My tip either way? Wear single-use gloves when grating! What a beautiful cake, Martyna. I did try to bake one beetroot chocolate cake once (from a cookery book which I don’t trust now after several other failures) but it had such a strong earthy taste I didn’t like it. I suppose that adding spices would solve this problem. Gorgeous cake! This is one of my favourite beetroot things to have! I’ve known a lot of people who have tried this combination. I have to admit I’ve yet to try or taste but am totally interested to have a go 😉 IT looks superb! Yum, this looks delicious, Martyna! 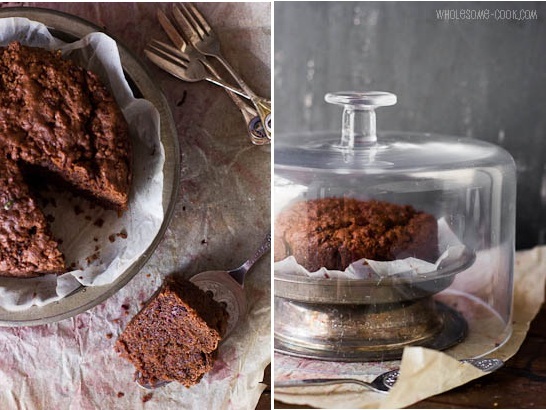 I like the idea of adding in a little five spice powder to a cake, what a nice twist! That’s a wonderful cake. Just some month ago someone talked about making a chocolate cake with beetroot from an old English recipe, but no one thought that would be good cake. Now I see someone doing it and it seems to me that this is a very delicious cake! This is not sugar free. Rice Malt Syrup is sugar, just in a different form. It looks delicious, but you shouldn’t advertise it as sugar free. This looks like a delicious cake. Bookmarked it to try! I really love beetroot, and I have been wanting to eat a cake with beetroot in it (I’ve seen some before) but unless I make it on my own, it looks like stores won’t sell this kind of unique cake. I wish you live next door so I could ask for a piece!!!! 😉 Looks amazing. One day I will try!!! What kind of self-raising gluten free flour do you use? Any suggestions? thanks, it does help! I just wanted to ensure we were talking about the same thing. How does pepper taste in a cake, though???? 🙂 ok. it’s hard to get those ‘exotic’ things here that no one uses! Hi Martyna, Hope you had a great Christmas. Can I ask, is it okay to use honey instead of rice malt syrup? This cake looks great! What are your thoughts on freezing? I try to bake as much as possible before my childrens’ birthdays to reduce the load the day before. Do you think it would freeze ok? Just found your website. The cake looks and sounds interesting, but will have to make adaptions to it as the cake is neither sugar or gluten free. It contains Malt syrup which we all know is sugar and malt which is made from barley which contains gluten. John. Hi John, thank you. I know that the name rice malt syrup can be confusing, but I can assure you it has nothing to do with barley and barley malt. It is made from 100% brown rice. It does not contain barley at all and is gluten-free. It’s the malt in the name that confuses a lot of people. Simply put it’s rice syrup. It’s sugar-free in a classic, refined sugar sense and fructose-free too. Looks great. I am going to try using apple juice concentrate a sweetener. Will rate after I have tried making it. 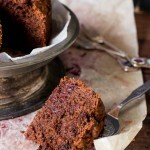 I’d love to find a vegan Beet cake that doesn’t use OIL or refined sugar!!!! Do you think oil is really necesssry? I seem to find no oil Beet cakes but with sugar or the reverse ? Like this one! Have just made this. When combined the mixture seemed very dry! The recipe says pour batter into tin, which suggests it should be wet! What water should be used? The ingredients listed ‘water water’!! Here’s hoping it cooks out good.